Just yesterday, the U.S. Court of Appeals for the 2nd District ruled on the Louboutin v. Yves Saint Laurent (now Saint Laurent Paris) case in regards to the ever popular red soled shoe. The Appellate Court affirmed in part and reversed in part the ruling of the District Court. The Court affirmed the ruling which denied Louboutin a preliminary injunction to stop YSL from selling their monochromatic shoes--covered in red on top and bottom. The Court reversed the finding of Louboutin's trademark to be invalid by the District Court--saying a color can, in fact, serve as a trademark in the fashion industry. Both the District Court and Appellate Court denied Louboutin an injunction to stop YSL from selling their all red shoes. The reason being, on the District Court level was largely because a color couldn't be used as a trademark-- so Louboutin couldn't stop YSL from selling their shoe. On the Appellate level, the injunction denial was affirmed because the trademark approved for Louboutin is one for red soles contrasting the "upper" of the shoe. The YSL shoe did not have a contrasting sole and upper. This helps explain the affirmation a bit. The Appellate Court reversed the lower court's ruling, finding the Red Sole Mark invalid. This was reversed because of the "secondary meaning" developed by the Louboutin red sole in the market. As the Appellate Court noted from precedent: Secondary meaning is acquired when, in the minds of the public, the primary significance of a product feature...is to identify the source of the product rather than the product itself. Ultimately, consumers have been trained through marketing and promotion to associate red soles contrasting their uppers as high-fashion Louboutin shoes. With a modified understanding of the mark, Louboutin prevailed. In a nutshell, both sides can be seen as winners. 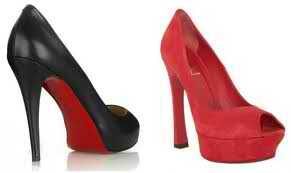 Louboutin has protected their contrasting red sole as a valid trademark in the fashion industry. It is used to identify their brand, as required for trademark registration, but does not limit competition in the market. YSL can continue marketing their monochromatic shoe. The red sole trademark is not infringed when used in a way contrary to a red sole contrasting a non-red upper. By placing the color red in a context that seems unusual and deliberately tying that color to his product, Louboutin has created an identifying mark firmly associated with his brand which, to "those in the know" instantly denotes his shoes' source, Louboutin. It is the first principle of trademark law, that an owner may not use the mark as a means of excluding competitors from a market. Allowing red soles in all circumstances to be the trademark possession would limit shoe marketing. Modifying the mark to apply only in a specific manner promotes competition--a primary crux in trademark law. 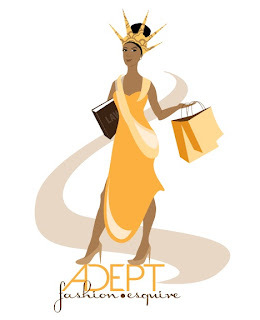 The fashion industry, like other industries, has special concerns in the operation of trademark law. Although there is no copyright protection in the fashion industry generally, trademark is essential to the industry and cases like this are major for this creative market. For more on what's going on in fashion law...and there's quite a bit, consult the Fashion Law Files!